Expires in 4d . Last validated 6d ago . Used 2 times. 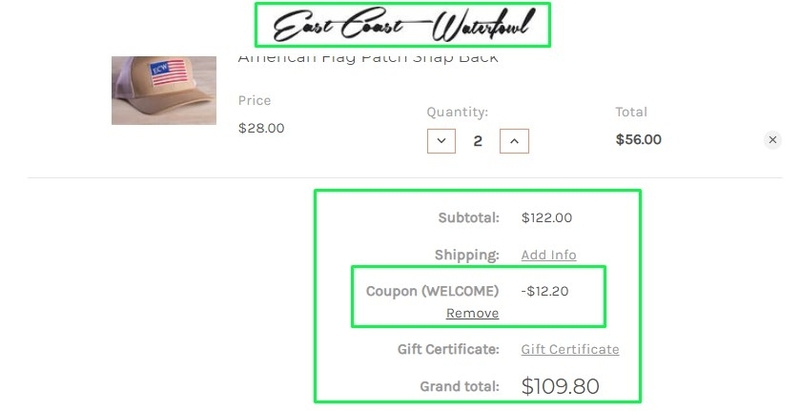 ELISA CACERES I am validating that this deal works as described. 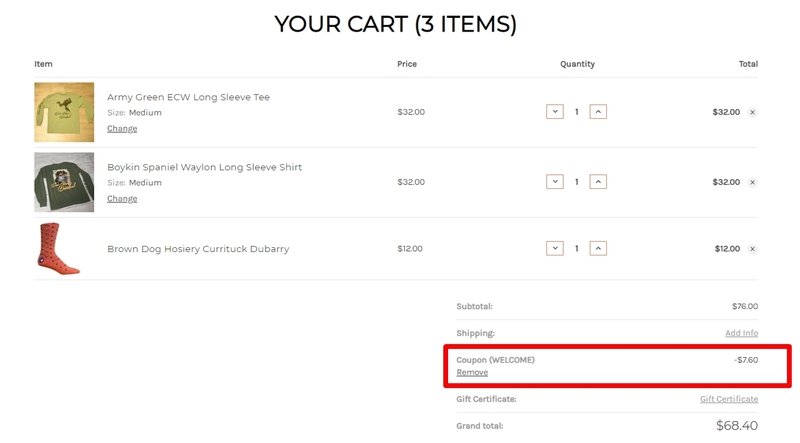 Just type the promo code into the promotion code box and click apply to save the promotion. Some exclusions may apply. Nick Koch I am re-activating that this deal works as described. 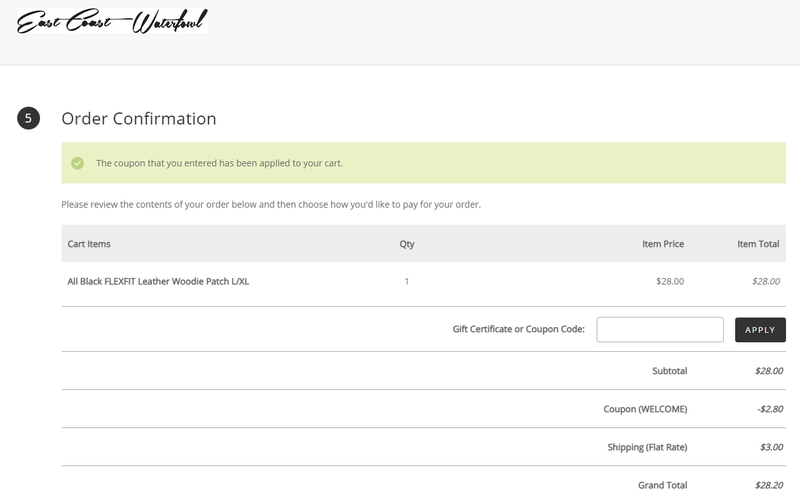 Just type the promo code WELCOME into the promotion code box and click apply to enjoy the promotion. Some exclusions may apply. Abby I have verified that this code works as described. 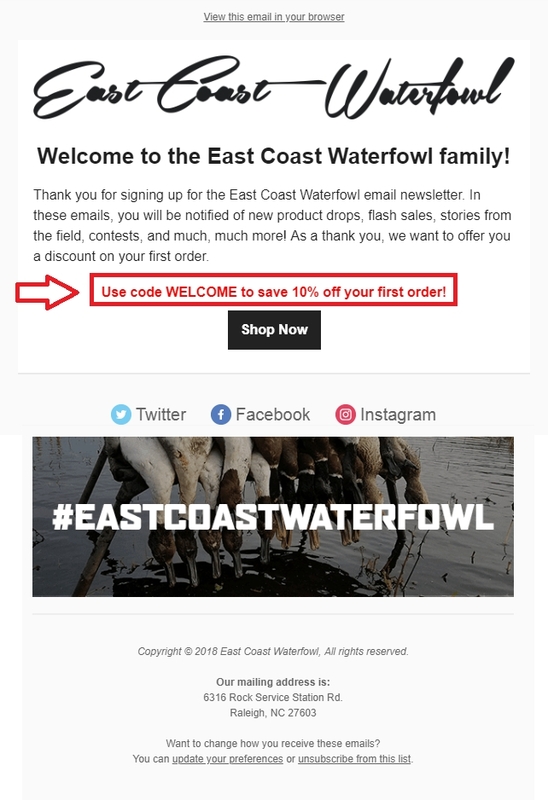 Enter the website of eastcoastwaterfowl.com and Save 10% Off Your First Order at East Coast Waterfowl . 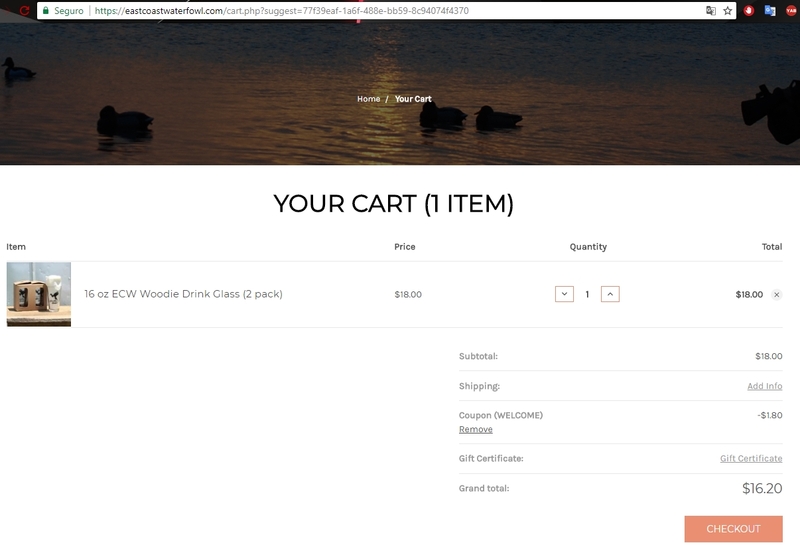 All you have to do is enter the WELCOME code in the promo code box in the checkout process. For more details see the screenshot. There may be some exclusion that applies to this deal.